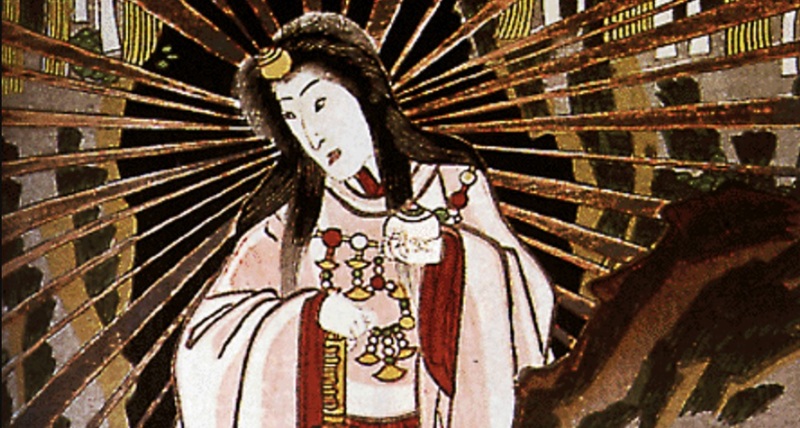 The Imperial Regalia of Japan , also known as the Three Sacred Treasures of Japan, consist of the sword Kusanagi (草薙劍), the mirror Yata no Kagami (八咫鏡), and the jewel Yasakani no Magatama (八尺瓊勾玉). The regalia represent the three primary virtues: valor, wisdom, and benevolence. 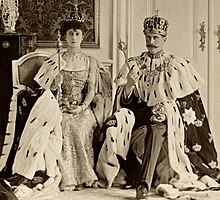 An enthronement is a ceremony of inauguration, involving a person—usually a monarch or religious leader—being formally seated for the first time upon their throne. 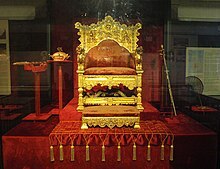 Enthronements may also feature as part of a larger coronation rite. A sword of state is a sword, used as part of the regalia, symbolizing the power of a monarch to use the might of the state against its enemies, and his duty to preserve thus right and peace. 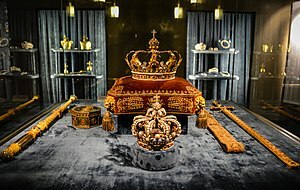 The Enthronement of the Emperor of Japan is an ancient ceremony that marks the accession of a new ruler to the Chrysanthemum Throne, in the world's oldest continuous hereditary monarchy. 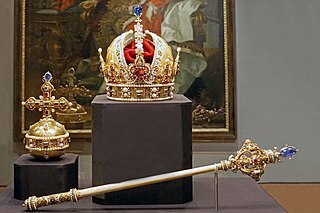 Various ancient imperial regalia are given to the new sovereign during the course of the rite.